Bill is a Fellow in the American College of Trial Lawyers. 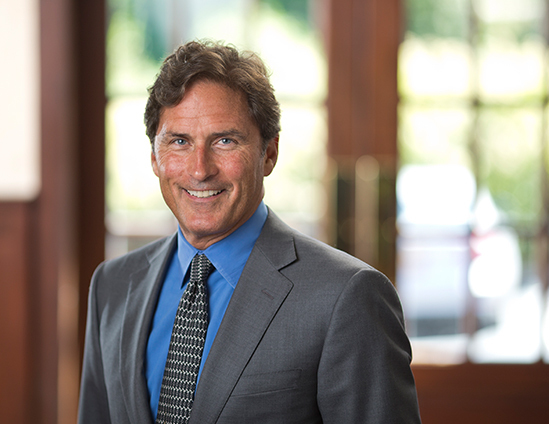 His main practice area is complex civil litigation, with an emphasis on commercial disputes, mass torts, product liability, class actions, and federal multidistrict litigation. Bill has extensive experience managing and trying large-scale litigation to verdict in both state and federal courts across the U.S. Prior to joining the firm in 2008, Bill was Vice President and Associate General Counsel of Altria Group, where he was responsible for coordinating litigation issues facing the Altria group of companies. He worked closely with management, investors, outside counsel, and the media in an effort to successfully manage the variety of legal challenges facing Altria and its operating companies, in particular tobacco products liability litigation. Prior to joining Altria, Bill was a partner at Shook, Hardy & Bacon, where he successfully defended product liability cases tried to verdict in state and federal courts across the country. Bill is currently a member of the adjunct faculty at Columbia Law School, where he is a Lecturer-in-Law on Mass Torts. He was a member of the Board of Trustees of the Greenwich Country Day School from 2010 to 2017, and is a member of the Board of Governors of the Little Orchestra Society, New York's oldest teaching orchestra, serving as Co-President/President from 2008 through 2017.